Home » Politics » Yogi Adityanath to withdraw 20,000 cases against netas. Is he trying to save himself and his ministers? Yogi, his deputy KP Maurya and several ministers face criminal charges. Will UP govt now withdraw these cases? 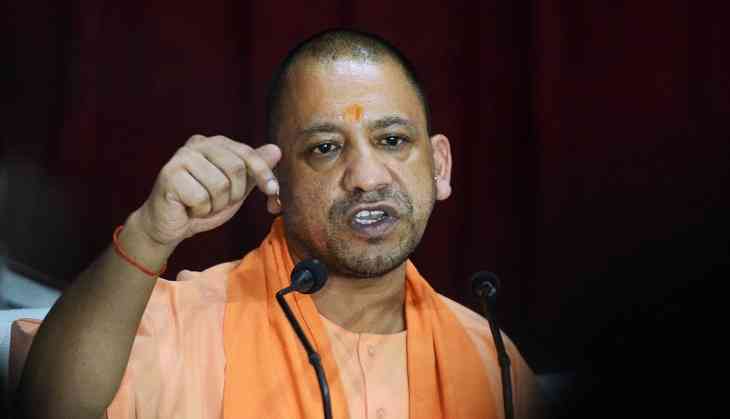 In a move that could embolden the law makers to break laws with more impunity, the Yogi Adityanath government proposes to bring a legislation to withdraw 20,000 cases which, according to the Chief Minister, were “politically motivated”. The Chief Minister who faces criminal charges for his 2007 hate speech in Gorakhpur had described the case against him in the Lok Sabha as a “political conspiracy”. Explaining the move, Adityanath said that the police often register cases against politicians for staging protests or other petty issues. Political parties, the chief minister said, had misused the police machinery to victimise opponents. It was these cases, he said, were proposed to be withdrawn. The move would also reduce the number of pending cases in courts. But the government apparently had no such plans for students or other common citizens against whom police slap cases for minor protests. It was not known if the case against Adityanath, which was being heard by the Allahabad High Court in-camera, would be among the 20,000 cases to be granted reprieve. Or the ten criminal cases, including one of murder, which were pending against Adityanath’s deputy Keshav Prasad Maurya would also be among the lucky 20,000. Swami Prasad Maurya, who defected from the Bahujan Samaj Party to join the BJP just before the assembly elections, also faces criminal cases. Ironically, Adityanath made the announcement even as the ruling and Opposition parties were caught in a bitter debate over the Bill on Uttar Pradesh Control of Organised Crime Act (UPCOCA) which the latter feared could be misused to target the media and minorities. As the move which would benefit ministers, legislators and other politicians cutting across party lines the Opposition parties might now choose to tone down their criticism of the government. The Congress party was skeptical of the move. The party’s spokesman said that the Bill could be aimed at bailing out BJP leaders facing criminal charges. The process to identify such cases which fall under the political category has begun. The decision to allow the case to be withdrawn would, however, depend on the trial court. In 2013 the special sessions judge Kalpana Mishra rejected Akhilesh Yadav government’s application for withdrawal of cases against two persons accused of serial blasts. According to the findings of Association for Democratic Reforms (ADR), there were fewer elected representatives with criminal background in the present Assembly. In 2012 there were 189 legislators with criminal cases against them, while this time there are 143. Of these, the BJP, incidentally, has the maximum legislators --- 114 --- almost 37 per cent of the party’s total strength of 312. There are 20 ministers in the Adityanath government who face criminal charges, including the chief minister and his deputy. The Samajwadi Party has 14 and BSP five legislators with criminal cases against them. It is in this context that the Congress party, which has only one MLA with criminal background, was doubtful about the government’s motive for working on a legislation to shield criminal politicians. On one hand the chief minister claims that he would rid UP of criminals, on the other he was setting a precedent to keep politicians with shady background above the law. With 20,000 cases likely to be withdrawn, the UP government’s move could render the Supreme Court’s proposed fast-track courts for speedy trial of people’s representatives, without any work in the state. TWEET THIS Yogi, his deputy KP Maurya and several ministers face criminal charges. Will UP govt now withdraw these cases?